A consultative meeting on the forthcoming elections will be held on 23rd March 2019 at 10.00 in Madurai. 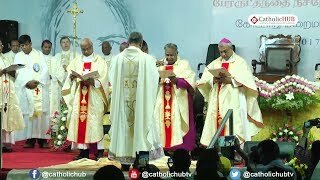 This meeting is organised by Regional Laity council and Krithava Vazhvurimai iyakkam. 22/45, Santhome High Road, Chennai – 600 004.